Working alongside local staff, medical interns will learn more about healthcare practice in a developing country while gaining practical work experience. Many of the patients come from disadvantaged backgrounds, and your role will be to assist the local medical team wherever possible as they provide vital healthcare treatment. 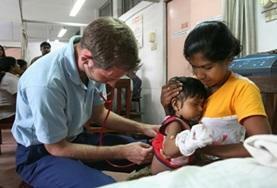 As a Medicine volunteer, you may find yourself working in a public or private hospital, clinic or healthcare centre. A number of these placements are under-resourced and under-staffed. This means that staff and interns often have to come up with creative solutions to medical problems. With limited funds to pay for routine medical treatment, many patients will have advanced illnesses and conditions that would rarely be seen in the developed world. Indeed, it’s an opportunity for you to gain insight into healthcare practices in a different setting from your home country. On a healthcare internship, you will have the chance to learn from skilled local staff, who are keen to teach and share their knowledge. For the duration of your placement, you will be assigned to a supervisor who will give you practical exposure to the day-to-day workings of your placement at an appropriate level. What will I do on a Medicine internship? Your role will differ according to the specific placement and destination that you choose. Those with additional experience or training will take on more responsibilities. 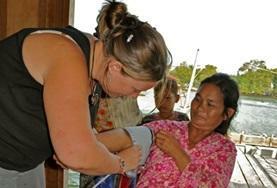 Each placement is tailored, where possible, both to a volunteer's level of experience and their interests. Depending on your length of stay, interns will have the opportunity to rotate through different departments, such as paediatrics and cardiology, or focus on a specific field. Please bear in mind that any opportunity to gain experience in practical, hands-on work will always be at the discretion of local practitioners. Initially, your role will be mainly observational. As you develop a working relationship with the local staff and prove yourself responsible and trustworthy, you may find yourself given more hands-on assignments. There is also the opportunity to take part in regular medical outreaches. These often involve travelling to local villages, rural areas or children’s homes to carry about basic medical checks, dispense medication or raise awareness around a particular medical issue. If you are looking for something outreach-based on a full time basis, Public Health would be the better option. In some destinations, we also run medical workshops, which is an excellent way to hone your skills and learn more about a particular aspect of healthcare. If you are a Medicine student in your Elective year, please see our Medicine Elective page. 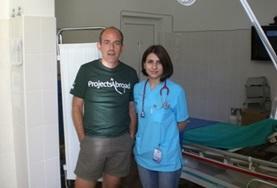 "My first week was spent in the paediatric ward. On my first day we began with a ward presentation on sickle-cell anaemia and foetal hypoglycaemia, presented by some of the medical students to their peers, nurses, doctors, and the head of the ward. The students and staff were eager to share their vast knowledge of different diseases and their symptoms and treatments with myself and the other volunteers." 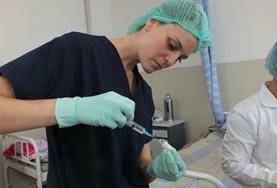 Argentina Volunteer in Argentina and gain experience working in both government hospitals and the smaller dispensarios. You will work in rotation allowing you to experience a variety of departments. Bolivia Volunteer in Bolivia and work at a public health clinic in the bustling city of Cochabamba. There are a variety of departments within which you could work. You can also get involved in community work. Cambodia Gain valuable work experience whilst working at a large state hospital, a paediatric hospital or an international private clinic. You have the opportunity to work in a variety of departments. 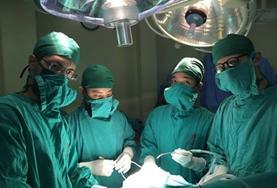 China Work alongside local staff at a major city hospital in either Chengdu or Shanghai. 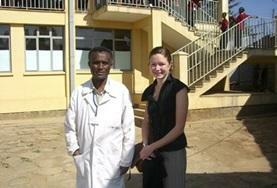 You will get the chance to shadow doctors in a number of different departments including traditional medicine. Ethiopia Shadow local doctors at a private health clinic in Addis Ababa and learn more about a number of different conditions and treatments including haemodialysis and HIV/AIDS. 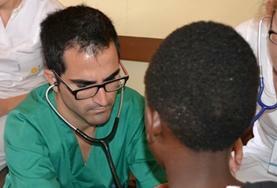 Ghana Volunteer at a hospital in Ghana and spend time in a number of different departments including paediatrics, maternity, accident & emergency, surgery and physiotherapy. Jamaica Volunteer on a medical placement in Jamaica and work in a variety of departments in a local hospital or work at a health centre focussing on adolescent health, child health and family planning. 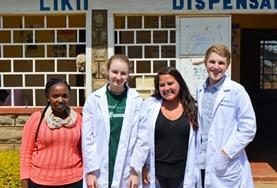 Kenya Gain valuable insight into the healthcare system and procedures within a developing country at a health clinic or hospital in Nanyuki. 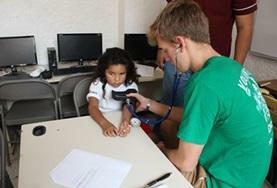 Mexico Volunteer in Mexico and work alongside local doctors in a city hospital in Guadalajara. There are a variety of departments in which you could work including gynaecology, paediatrics and surgery. 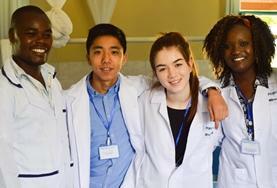 Mongolia Gain valuable medical work experience at a clinic or hospital in Mongolia's capital, Ulaanbaatar. You will observe skilled local staff, assisting where necessary. Morocco Volunteer on a medical project and gain a fantastic insight into how local procedures and patient support are carried out in Morocco compared to your home country. Nepal Work alongside local staff and help deliver healthcare to Nepalese people who would otherwise be unable to afford it. You may work at a hospital or centre for children with physical disabilities. Peru Volunteers in Peru may work in a hospital, health centre or children s rehabilitation home in the World-Heritage city of Cusco. There are a variety of medical areas within which you could work. 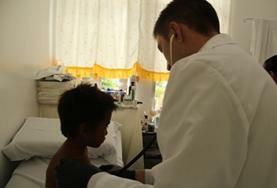 Philippines Work alongside highly skilled doctors and nurses in hospitals and health centres in Bogo City. You will have the opportunity to work in a variety of departments. Romania Intern in the emergency room of a county hospital or at a family medicine practice in Brasov, and gain work experience while observing skilled local professionals. Senegal Work alongside local doctors and nurses at a public hospital in St Louis. There are a variety of departments within the hospital in which you could work including paediatrics, maternity and ENT. 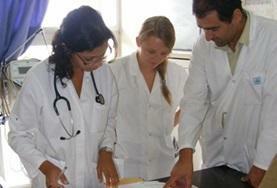 Sri Lanka Volunteer on a medical placement in Sri Lanka and gain valuable work experience shadowing local doctors. Focus on one field of medicine or work on rotation in various departments. Tanzania Choose between working in a large government hospital or a small health clinic in Tanzania. There are a variety of departments available including HIV, maternity, surgery and paediatrics. 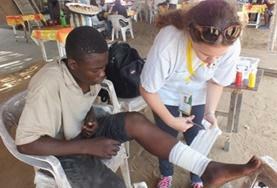 Togo Volunteer at a public hospital or private clinic in the Togolese capital city of Lomé. 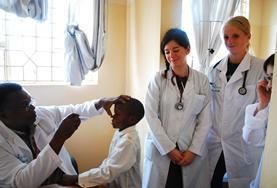 Volunteers with little or no experience may work at a small private clinic - observing consultations and minor surgery. Vietnam Work alongside qualified doctors in various departments of a hospital and rehabilitation centres and help treat patients who require medical attention.